WE KNOW YOU HEAR A LOT FROM OUR TEAM about the importance of brushing and flossing for great oral health. But there are other things (we tend to talk less about) that can really assist you, your family members and friends in maintaining a beautiful smile. Healthy eating is one of them. Your tooth enamel is your smile’s first defense against decay. When your enamel becomes damaged (or erodes) you become more prone to tooth sensitivity and cavities. Your diet can have a lot to do with replenishing those things in your body that help strengthen tooth enamel. Calcium is one of those things. Also, foods rich in vitamin D (like salmon) allow you to better absorb the calcium that healthy teeth need. Broccoli – Broccoli has been shown to create an acid-resistant teeth “shield”. Onions – Onions have properties that fight bacteria in your mouth. Kiwi (Vitamin C) – The little fuzzy guys are packed with more Vitamin C than any other fruit. A lack of Vitamin C can break down the collagen network in your gums, making them tender and more susceptible to bacteria and gum disease. Celery – Celery is like an edible tooth-scrubber. Because of its fibrous material, it massages gums, cleans teeth, and encourages saliva production (a major plus). 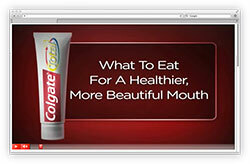 Other Crunchy Veggies – Other crunchy vegetables and fruits like apples or carrots are also great for your smile. Quinoa (pronounced “KEEN-wah”) – This little grain is loaded with minerals and vitamins that support and reinforce your teeth. Shiitaki Mushrooms – These yummy mushrooms contain a sugar called Lentinan that helps prevent mouth bacteria from growing. Sesame Seeds – Sesame seeds help your teeth in two ways. First, they act as little scrubbers, clearing up plaque on your teeth. Second, they supply lots of calcium. Of course, this list includes only a small fraction of the foods that can contribute to great oral health. The eBook below talks about many more. 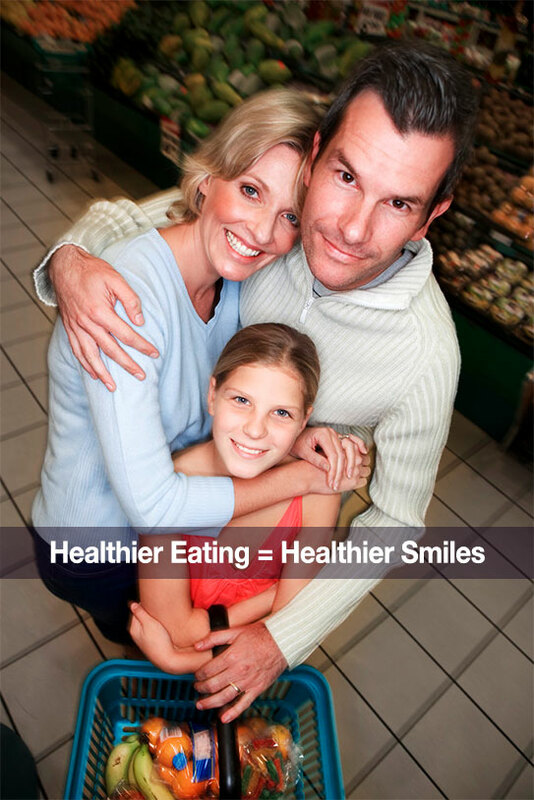 Wondering how you’re going to work teeth-friendly foods into your daily routine and family meals? Here’s a fantastic resource. 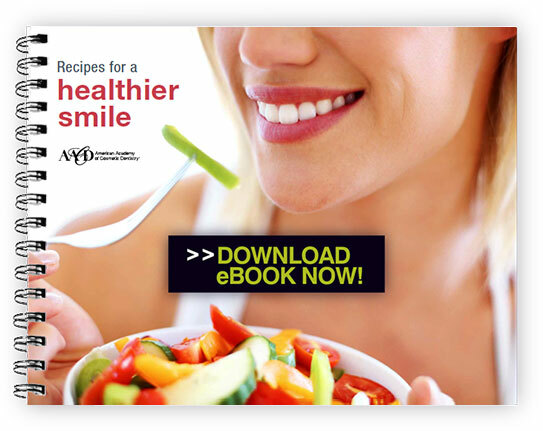 The downloadable eBook below combines know-how from a gourmet cook, a nutritionist, and a cosmetic dentist to feature gourmet recipes using the super-smile foods listed above (and many others). Enjoy! Happy food prep (and eating)! And as always, thanks for being our friends and a valued part of our practice.